Posted by jeffrooney in Egoscue Method, Foot pain, Gait, Posture Alignment Therapy. 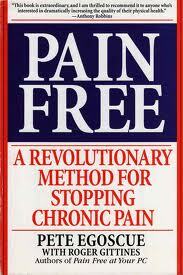 I have been offering a series of workshops lately using themes from the book Pain Free by Pete Egoscue. It is an excellent primer on The Egoscue Method he developed to address all manner of chronic pain issues ultimately caused by structural mis-alignments and body wide imbalances. 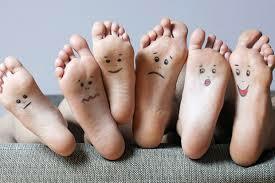 The most recent was called “The Stories Feet Can Tell” and revolved around the chapters on feet and ankle problems. I started off the workshop with asking everyone attending to share a specific foot or ankle condition they have or had and why they attended. I found it amazing that so many conditions would be present from just a small number of people(6 participants) regarding a relative small area of the human body. We started off simply and had everyone just stand up in bare feet and close their eyes. I asked where do you feel the weight at your feet? Is it symmetrical or heavier to one side? How about at each individual foot? Is the weight on the ball, heel or one edge of the foot? Then people walked and tuned in again. Only one out of the group felt relative balance from side to side but she also felt differences in where weight was bearing from foot to foot. The main premise of all these conditions, as Pete explains well in his book, is that to the greatest degree, these maladies stem from improper weight bearing at the feet and also an improper foot strike sequencing during walking, hiking and so on. Further, that very often these problems at the feet are telling a larger story of body wide imbalances that become reflected in abnormal gait and load bearing. The easiest example to explore is bunions. Instead of a full use of the foot in heel-ball-toe off the weight is bearing on the inside of the foot and toeing off over the big toe. And this outward positioning of the foot (or feet if it is bilateral) as one walks has its origin in a mis-aligned hip joint position. Many of the attendees talked of trying to get help via medical attention and how that approach leads to separating the foot from the biodynamics of the rest of the body. For example, I have seen many times where the collapsing of the foot arches comes from way above when the knees are collapsing inward such that now the weight bearing at the feet and ankles forces a falling of the arches and a falling inward of the ankles. After testing the weight bearing in bare feet we had everyone place their hands behind their head and pull their elbows back and then walk. Almost everyone noticed a dramatic difference in the weight at their feet. Several were able to notice more evenness from side to side or a change in how the weight distributed at the foot (more even and using more of the foot than just one edge). So again this illustrates how the whole body and even spine alignment can affect the way our feet function. The bulk of the time in the session was devoted to using the foot strike routine in the foot chapter for all manner of foot pain conditions and then for one person with an ankle sprain the routine in the ankle chapter. It was great fun exploring how these feet of ours can get the brunt of our body’s imbalances. So it seems we could write not just a story but a whole book by the tales feet can tell! Do the balance test for yourself and let me know your results!